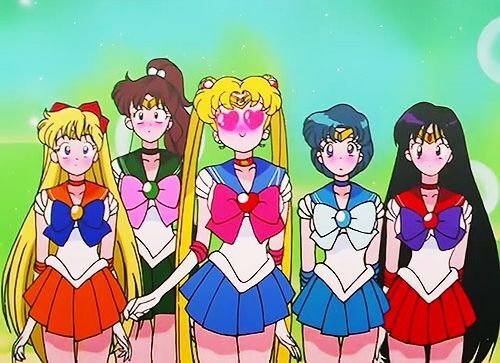 How Did the Sailor Soldiers’ Views of Love and Life Differ? With all of the exciting adventures the Sailor Soldiers embark on and the resulting epic battles against the forces of evil, it’s often easy to forget that, at its core, Sailor Moon is a story of teenage romance. Today, I’d like to take a closer look at the softer side of our sailor-suited heroines and see how their approaches to love and life differed. So without further ado, let’s get this started! In case your curious, all of the information in today’s article comes from the Nakayoshi Anime Album reference guide,1 which includes information from interviews with Ms. Takeuchi, the voice cast, and members of the anime staff. The responses are actually pretty interesting — and even more interesting is that though these books are focused on the anime, judging by the handwriting, Ms. Takeuchi is the one that wrote these insights into each of the girls. Nice to know! Motto? “Pure, Proper, and Pretty! Read also: What Does Ami's 300 IQ Score Actually Mean? For awhile there I wasn’t sure if these characterizations were supposed to be about their manga or anime versions, especially since Ms. Takeuchi was the one handwriting the quotes for what they thought about boys, but once you reach Rei’s response, it was pretty clear we were not talking about the anime version of our favorite priestess. See Naru?? True love awaits! Most interesting to me, though, is the attention Naru gets here. They even go so far as to give her a birthday – January 1st – and a full profile. This is probably one of the many references that helped fuel the rumors in the early Sailor Moon fandom that Naru may be the next Sailor Soldier. As for their thoughts on love, it’s pretty interesting to see if phrased the way it was (i.e., in the context of “what kind of boyfriend would you choose if you had all the options” kind of thing), but their responses probably aren’t all that surprising. 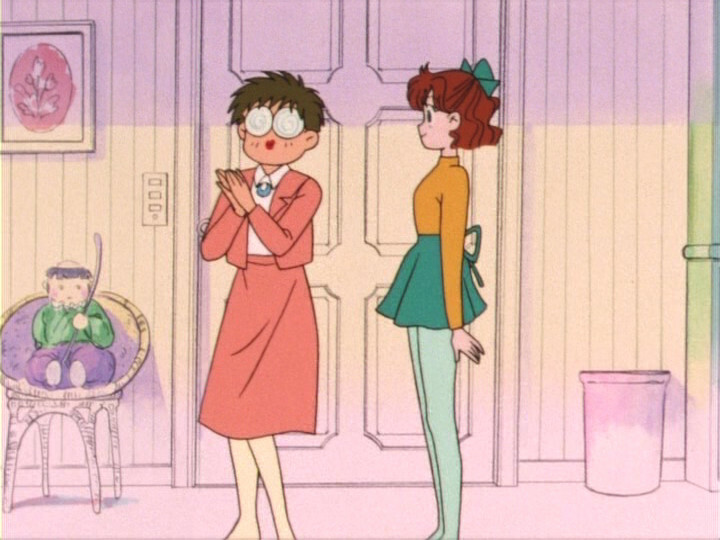 Ami would rather put love on the back-burner, Rei hates men (very much), and Minako wants someone cool. As for Usagi, well, I think as fans of the series after it had ended, it’s easy to forget that before her miracle romance with Mamoru, Usagi was pretty receptive to most advances, with a particular interest in Motoki. In fact, even after she and Mamoru were together, Usagi still had a bit of a wandering eye with Haruka, Seiya, and a few other characters of the day. Put in that context, I guess it’s not too surprising that she’d be open to dating both! There’s not really a whole lot more to say about this, but I’d be interested in hearing what you think about their mottos, and if you think they fit their characters. Rei’s is kind of generic, but I found Minako’s personally interesting. The original is a common Japanese idiom, and the literal translation is closer to “don’t just get back up when you fall down,” implying that you should take some time to search for why you fell before getting back up. I think it fits her character well – or at least it does for her manga, Sailor V counterpart. But! I’d be love to hear your thoughts. ← What Kind of Attacks Did Fans Want to See in Sailor Moon? I’d like to see a more in-depth look at their individual philosophies rather than an interview-style. For example, Usagi can come across as shallow and flighty, but she has such an extreme sense of love for others. That would be cool to compare and contrast on that level! That’s something that would definitely be an interesting read, but unfortunately it’s way too open for individual interpretation, unless you’re really careful to only do it in reference to authoritative sources. I know that Ikuhara talked at length about Usagi’s personality and how it was portrayed in the Sailor Moon R movie, so stuff like that and Ms. Takeuchi’s liner notes would be a good place to start when taking an in-depth look at how the characters approach life. Of course, there’s nothing wrong with people evaluating each of the characters’ personalities – it’s actually pretty fun! But if looking at forums tells me anything, if you ask 10 people what kind of person Usagi is, you’ll get 10 different opinions. And that’s one thing I love about interacting with other fans! While I always enjoy seeing background material/information like this. I have to say, I personally find these quotes come across as a bit rough, and made on the spot. Particularly since they’ve seemingly mixed the two Rei’s up, if this was meant to focus on the Anime continuity like it implies. Though something about Rei’s first one, seems to hint (at least to me) that she does secretly enjoy the attention, even if she doesn’t necessarily reciprocate. Indeed there is some brief moments in the side stories that give it a degree of support, such as accepting free drinks from admirers. She knows she’s hot and popular. Personal pride just seems to prevent her from being open about a subject that is somewhat sensitive. Likewise, her motto really feels like it’s mainly directed towards her father, who was very much the source of her issues. On a separate note. The thing that’s actually caught my eye the most in this article, is when you briefly mention blood types. Which reminded me that I have noticed the Japanese do seem to be rather obsessed with this aspect in people. I’m guessing it’s a cultural thing? Actually, I have the impression that though this is an anime book, the quotes re: boys were from Ms. Takeuchi herself. I say that because they all include a manga sketch of the character’s head and a speech bubble coming out, and the handwritten text in the bubble is a dead ringer for Ms. Takeuchi’s. Combine that with Rei’s hatred for men here, and I think that she probably wrote these from her perspective as the manga author. She also did contribute a lot to this reference book, and was even interviewed in it, so seems fair enough! Also, the text in the parentheses was Ms. Takeuchi’s thoughts on this, or what she would say back to the character. Interesting that even she admitted that Rei is really attractive and admired by a lot of men. Sure, Usagi mentioned that Rei was really beautiful, but I don’t really recall any scenes in the manga ever showing men explicitly interested in her – at least not this early in the series when the book was published. As for blood type? Yep, it’s a huge thing in Japan and even much of Asia. Much like how many people in America used astrology/star signs to say something about their personality, blood type is used much the same way. There’s an interesting wikipedia article about it, if you’re interested! I’m guessing the book was written fairly early into the series run, so they probably hadn’t quite nailed down all the details about the characters by this point, especially since Naru is involved here in a seemingly equal standing. I do recall two cops ogling Rei (bit creepy) in another side-story, as well as the aforementioned gifts. Given that her design is supposed to represent traditional Japanese beauty, it’s clear she’s meant to catch the eye more then the others. Yeah, they show the covers for scripts for the Sailor Moon R anime recording and how some cels are painted, so my guess is that the book was written probably right after the first season ended. I agree with you, Minako’s quote “Turn every mistake into a lesson.” is not only perfect for her character, but it’s a great saying in general that everyone should follow. I love how it takes only six words to convey so many ideas. 1) don’t be disappointed by your mistakes 2) learn from them and use them to improve yourself 3) making an effort to try things even if you screw up just leads to ways to make yourself better, while being afraid to try means not improving yourself 4) your attitude and your outlook on life determine whether a failure leads to you getting upset and having a bad day, or whether you learn and make yourself better. There are obviously a lot of differences between Usagi and Minako when it comes to how they act as the heroine of their respective stories, but I think one of the biggest take-away lessons I get from them is that Minako owns her faults. When Usagi stumbles, misses a jump, or crashes into something, she gets upset. But Minako bounces back and doesn’t really let it get her down. Both character types are really interesting in their own stories, but I really appreciate Minako’s playful take on everything. 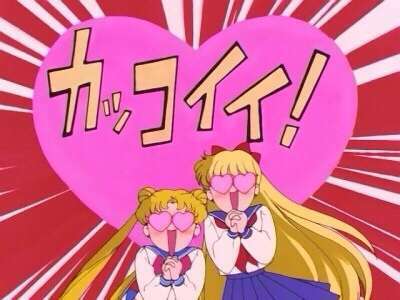 Usagi is bi and Rei is her lover. That’s what she meant by both ! 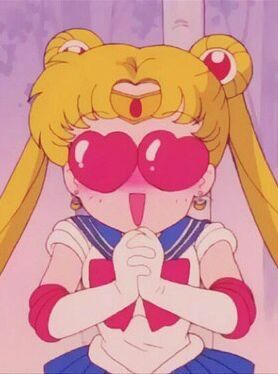 Hehehe I can honestly say though I think Usagi is Bi but is more about loving so deeply and her and Rei could be a thing if based on the 90s or Manga so I honestly think it could mean that.